What do you do with a little kid who…won’t brush her teeth…screams in his car seat…pinches the baby...runs rampant in the supermarket? Organized by common challenges and conflicts, bestselling author, Julie King, joins us to discuss essential communication strategies for parents, caregivers, and educators. You will leave feeling empowered to forge rewarding, joyful relationships with your child(ren) 2-7 years old. 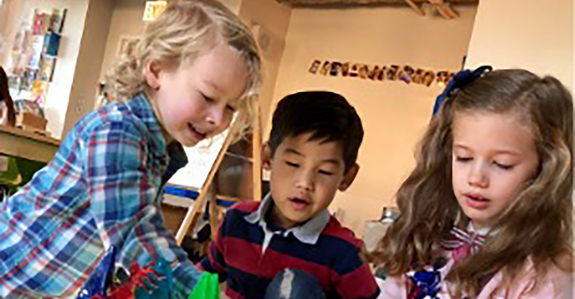 These strategies will help little kids grow into self-reliant big kids who are cooperative and connected to their parents, teachers, siblings, and peers. For over 20 years, Julie King has been educating and supporting parents and professionals who live or work with children ages two to teens. She consults by phone and video chat with parents, leads "How To Talk" workshops online and in person, and speaks publicly to schools, parent groups and other organizations across the U.S. and internationally. Bennett Day School is a premiere PK-12th grade progressive and independent school in Chicago’s West Town neighborhood. To learn more, please visit www.bennettday.org. Applications for the 2019-2020 school year are still being accepted. NPN members get 15% off an evening with author Julie King. Go here for details.